2nd time in Hiroshima. 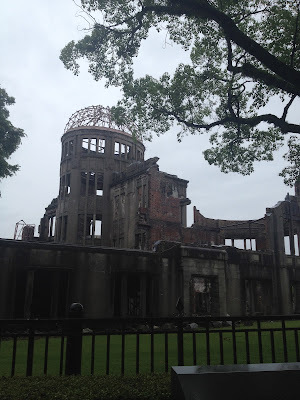 It wasn't in our plan to visit, but after being in Nagasaki and spending hours at the A-Bomb museum there, we told one another that we need to make a trip to visit the one in Hiroshima. 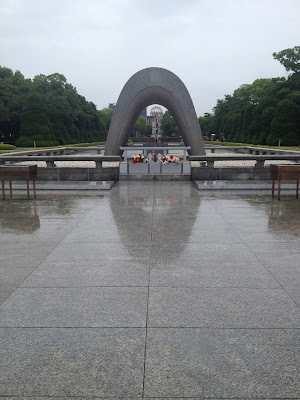 It meant a lot to us that we could visit both, it made the learning that much more meaningful- because we wanted to be there and know what happened. The museum in Hiroshima was much much extensive, with more artifacts that were painful to see. Even people's hair and skin... we could spend ages and ages watching the testimonies but were cut off yet again by the train time. 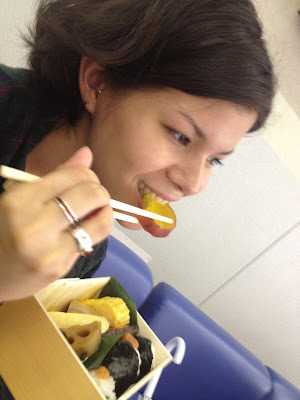 aaand we enjoyed our first eki-ben, eki bentou, literally translated to "station lunchbox". Every train station has various lunch boxes that travelers can buy, that are made of local gourmet food.